MLS Listing Services • Why Pay 6% to Sell Your Home? Receive a 1% Incentive When We Buy Your Next Home! Success, honesty, truthfulness, and excellent service has resulted in hundreds of happy clients. To date, our clients have realized a savings of over $4,400,000 in fees compared to 6% agents. We have the service you need to get your home sold. DFWCityhomes Flat Fee MLS Listing Services are available in North Texas in any area represented by the MetroTex Association of Realtors. Our Full Service and Flat Fee MLS Services are designed to help you based on your needs not ours. We’re here to make it work and we stay with you all the way through closing. We are personally invested to get your house sold and get you into your new home. We are experienced professionals and we’re flexible and willing to help. Interested in learning more? 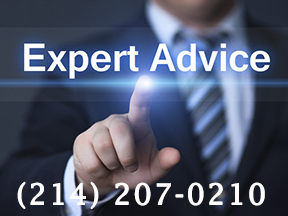 Click Contact Us or Call us at (214)-207-0210 and we will explain our services and answer any questions you have. All DFWCityhomes MLS Listing Services include Full Representation. We never share your confidential information with another party without your express permission. You never have to talk to a Buyer or Buyers Agent unless you want to.